Abeysekere, D. H., 2006, Traditional Medicine in Sri Lanka and in Neighboring Countries, Colombo: The Author. Ayurvedic Medical Council Sri Lanka, 2010, Registered Ayurvedic Medical Physicians at the End of the Year-2009/12/31, Colombo: Ayurvedic Medical Council. Basnayake, V., 1988, Traditional Medicine and the Medical School Curriculum in Sri Lanka, Peradeniya: University of Peradeniya Press. Gupta, B., 1976, “Indigenous Medicine in Nineteenth and Twentieth Century Bengal”, in Charles Leslie (ed. ), Asian Medical Systems, Barkeley: University of California Press, pp. 368-378. Gupta, L. P., 2006, Essentials of Ayurveda, Delhi: Chaukhamba Sanskrit Pratishthan. Hagaya, Pratama, 1984, Sri Lanka Desheeya Chikithsa Sangrahaya, Colombo: Ayurveda Department Prakashakayo. 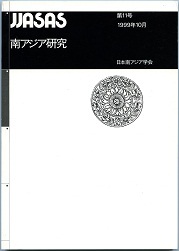 Higuchi, Machiko, 2002, Traditional Health Practices in Sri Lanka, Amsterdam: V-U University Press. Jayathilaka, I. G. A., 2007, Ayurveda Chikithsa Mula Tarama, Colombo: Ayurveda Department Prakashakayo. Kamalika, Pieris, 2001, Medical Profession in Sri Lanka, 1843-1980, Colombo: Visidunu Prakashakayo. Kusumaratne, Sagara, 1995, Folk Medicine among the Sinhalese, Colombo: The Author. ――――, 2005, Indigenous Medicine in Sri Lanka: A Sociological Analysis, Nugegoda: Sarasavi Publishers. Liyanaratne, Jinadasa, 2006, Buddhism and Traditional Medicine in Sri Lanka, Colombo: Kelaniya University Press. Obeyesekere, Gananath, 1980, Rationality, Theory and Experimentation in Ayurvedic Medicine, Tokyo: The United Nation University Press. Uragoda, C. G., 1987, A History of Medicine in Sri Lanka: From the Earliest Times to 1948, Colombo: Sri Lanka Medical Association. Wanninayaka, P. B., 1982, Ayurveda in Sri Lanka, Colombo: Ministry of Health Sri Lanka. Wickramasinghe, Martin, 1997, Sinhala Language and Culture: Buddhism and Art, Dehiwala: Tisara Prakasakayo. Yalman, Nur, 1967, Under the Bo Tree: Studies in Caste, Kinship and Marriage in the Interior of Ceylon, California: University of California Press. Yogasundram, Nath, 2008, A Comprehensive History of Sri Lanka from Prehistory to Tsunami, 2nd revised ed., Colombo: Vijitha Yapa Publications. Shingo Einoo and Jun Takashima (eds.) From Material to Deity: Indian Rituals of Consecration. 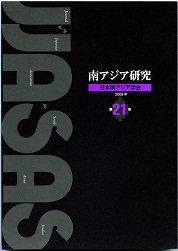 Japanese Studies on South Asia No. 4. Session Report 4: How does the study of literature contribute to South Asian studies? Perception in Indian Philosophy: Is Nirvikalpakam Pratyaksam Possible? Wiser, William H., 1936, The Hindu Jajmani System: A Socio-economic System Interrelating Members of a Hindu Village Community in Services, Lucknow: Lucknow Publishing House. Jha, D. N., 1989,“Early Indian Feudal Formation,” Journal of the Japanese Association for South Asian Studies, 1, pp. 1-21. Chaudhuri, B. B., 1984,“Rural Power Structure and Agricultural Productivity in Eastern India, 1757-1947, ”in Meghnad Desai, Susanne Hoeber Rudolph and Ashok Rudra (eds. ), Agrarian Power and Agricultural Productivity in South Asia, Delhi: Oxford University Press, pp. 100-170. The Economic History of India, 1857-1947, by Tirthankar Roy. New Delhi: Oxford University Press, 2000. xviii+318 pp. Rs. 395 (hardcover). ISBN019 565154 5.